Following the boom in oil production from the hydraulic fracturing revolution, environmental protection outstripped energy independence as the major selling point of US biofuels policy. The ethanol mandate continues to grow and includes 15 billion gallons that can be met using ethanol made from corn. All of that corn ethanol, despite being a renewable fuel resource, does not deliver the environmental benefits hoped for by early biofuel advocates. The production of billions of gallons of ethanol requires vast expanses of farmland, and with the introduction of the ethanol mandate, these areas have grown to encompass what were previously unimproved critical ecological areas. On top of degrading wildlife habitat, tilling previously unfarmed land releases long-term soil carbon stores. The mandate also competes with the Conservation Reserve Program, which pays farmers to keep environmentally sensitive land out of production. Together, these effects eat away at the possible environmental benefit of the ethanol mandate. Expanding corn production into new areas exacerbates pre-existing environmental problems, particularly fertilizer runoff. This fertilizer eventually reaches the Gulf of Mexico dead zone, an area so heavily affected by runoff that marine life dies en masse. Environmental economists estimate that for every billion gallons of additional ethanol produced the dead zone expands by 30 square miles. Finally, it must be noted that corn ethanol does little to help meet climate goals. The exact greenhouse gas reductions from ethanol relative to gasoline are a matter of heated academic debate, with some experts even concluding that corn ethanol has higher emissions. A recent meta-analysis in the American Journal of Agricultural Economics puts the greenhouse gas emissions reduction at less than a single percent — not a particularly strong tool in the fight against climate change. It’s worth recognizing that many of corn ethanol’s worst environmental consequences are a direct result of its huge volumes of production. At lower production intensity, corn farmers might use less fertilizer and concentrate on areas that are better-suited for production. 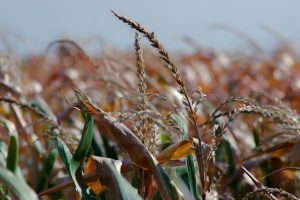 Eliminating the mandate would not come close to eradicating corn ethanol production, but cutting back the mandate may be all that’s necessary to mitigate the environmental damage. 1) Can the ethanol mandate be justified on a non-environmental basis? 2) What would the ethanol market look like without a mandate? 3) Do political incentives make the ethanol mandate untouchable? Actually, the premise is wrong. The ethanol mandate has always been primarily about reducing the surpluses of corn that have been a regular feature of American agriculture for almost a century. As a policy driver, the environmental benefits are secondary at best. The energy security benefits of ethanol are real, particularly as regards octane. Ethanol is now the preferred octane enhancer. If we have less ethanol, where is the octane going to come from for high compression engines with their greater mileage? From MTBE? That excursion was an environmental disaster. 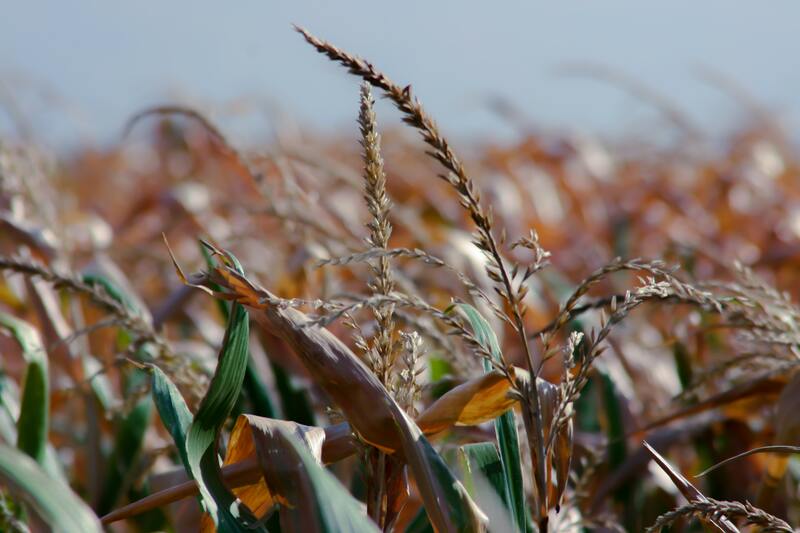 Reducing the ethanol mandate would simply increase pressure for direct farm subsidies. Why not get a useful fuel product via the ethanol mandate, rather than further distort agricultural markets? We won’t make progress with our energy policy until we start making useful comparisons. So if we reduce the ethanol mandate, where will the additional fuel come from and what will be the impacts of that choice? By Gary A. Herwick President, Transportation Fuels Consulting Inc. Thanks, Bruce for your concise and insightful comments. I might add that 10% ethanol blended into almost all current US gasoline is necessary to bring “sub-octane” gasoline blendstocks up to the required octane levels sold at the pump. While gasoline could be produced at the required octane levels, it would be more expensive compared to E10, which is a partial answer to the second question posed by Mr. Wardle. Ethanol is a cheap and available source of octane that the market would likely chose with or without a mandate. The real opportunity for ethanol blends as Bruce suggested is to supply high octane fuel for high efficiency, high compression ratio engines. An E25 blend could provide 95 Research Octane fuel at regular grade gasoline prices. As confirmed by many papers in the recent technical literature, the reduction in per gallon energy content compared to gasoline would be offset gains in efficiency along with a substantial reduction in carbon emissions. Where will the octane come from, indeed. Agree with the previous poster. You are still going to need an oxygenate. Gasoline consumption in 2017 was 143 billion gallons. This implies you are going to need 14.3 billion gallons of ethanol. MTBE is a no…no. The only alternative is ethanol. Now, you could do cellulosic (avoiding corn-based products) , but it has to be ethanol, nonetheless. From an environmental point of view, the ethanol mandate is highly questionable, especially if it is based on corn, a water-intensive crop. The carbon balance has been a contentious issue from day one and remains so. Politically, it is going to be difficult, although not impossible, to reverse course. The Trump trade war with China, which makes soybeans a less attractive alternative for farmers, adds another political wrinkle and not in a good way.